Each year, the University Synagogue located in Irvine, CA, presents a hugely entertaining and informative Biblical Trial Program. Two of the legal profession’s most esteemed law professors, Erwin Chemerinsky, Dean of the UCI School of Law, and Prof. Laurie Levinson, present their legal arguments involving iconic events from the Bible. Details for attending this very special and entertaining event on March 13, 2016, from 1 p.m. to 3:30 p.m. can be obtained on the link below. 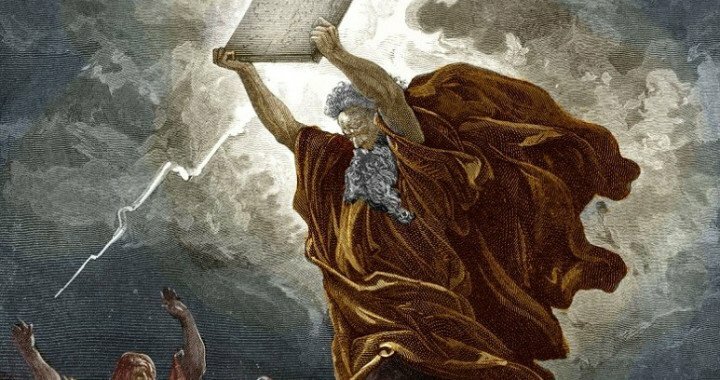 This year’s trial: The People vs. Moses – The Destruction of the Tablets of the Ten Commandments. Moses, the man who freed the Israelites from slavery, just can’t catch a break! Several years ago at this same venue, he was on trial for murder. Now he is accused of theft by embezzlement and vandalism for the destruction of the tablets of the Ten Commandments. Was it an issue of anger management or something more insidious? Come see for yourself. This intellectually stimulating presentation hits upon timeless and timely moral, ethical, and philosophical themes. After the submission of evidence, there will be a lively panel discussion. The program has been approved for 2.50 hours of general credit by the State Bar of California. To access the flyer outlining the full program, click here. Posted in Client Alert, Scenario and tagged asset protection newport beach, Biblical trial, commandments, estate planning newport beach ca, moses, newport beach ca asset protection, newport beach ca business law, state bar of california, University Synagogue Irvine, Verdon Law Group.